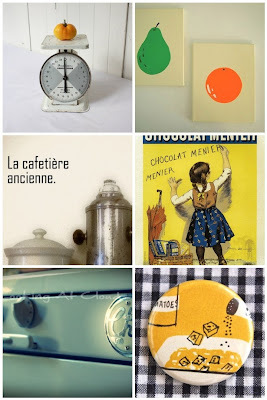 A collection of random/vintage/retro/cool things kitchen related. I fantasize about what my future kitchen is going to look like and I'm fairly certain that there will be an old scale that I don't use and lots of vintage artwork. In my dreams I also have the raddest retro stove on the planet. In reality I have a feeling that it will be well-functioning but not that magnificent Viking range that sets my heart a flutter. I love those fruit prints...I've seen them around and everytime I imagine them in my kitchen. oh my gosh this is so cute!!!! I love the pear and the orange image. I'm all about vintage art. love the blue in the picture ..
have you seen my new pic ? 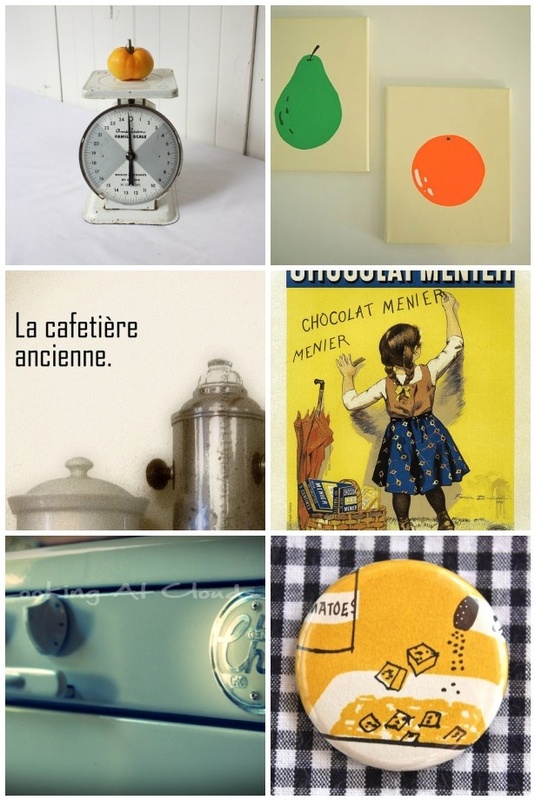 love the idea of the vintage oven and scales! Cute! I would love to redo our kitchen. I think yellow would be welcoming. the prints are too cute!